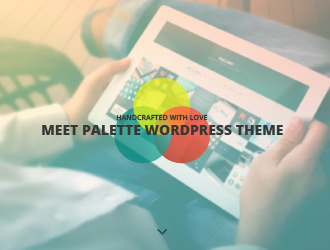 Grandfolio is a new premium portfolio WordPress theme totally justifying its name. The theme has been diligently designed and developed to meet the varied and ever-evolving expectations of our dear customers. 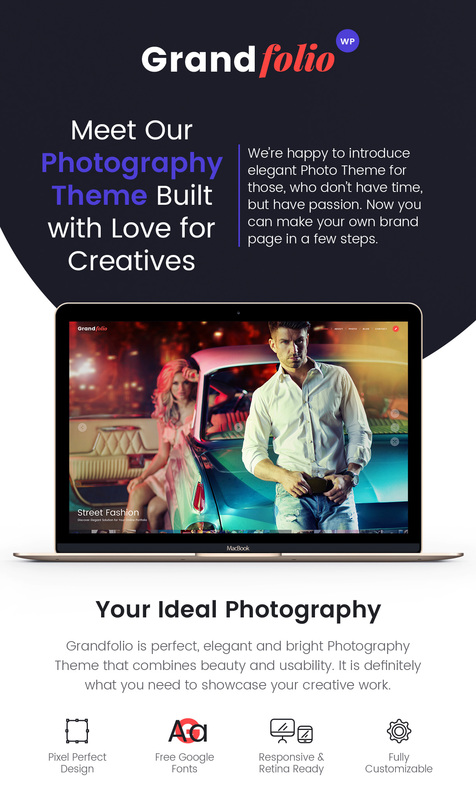 If you are passionate about photography, you adore creating illustrations or you are fond of shooting short videos and movies, you can confidently choose this professionally-made design to build your perfect portfolio and establish yourself in your online community. 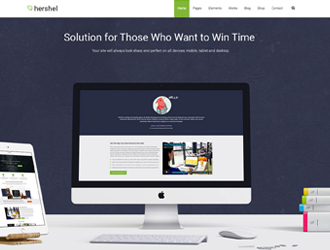 This brilliantly crafted WP theme includes a good number of pre-configured web-page layouts so you can modify them up to your needs and make your website look and work right as your require. Several custom shortcodes, beautiful typography, amazing slider and stylish combination of colors also play one of the key roles when you draft a concept of your website. You can excellently showcase your photos either in a Fullscreen, Kenburns or Ribbon Slider, show them off in albums grid or albums slider, or demonstrate them in a grid or masonry gallery. You can also run a blog to attract more target customers, so choose either right or left sidebar blog page type or a fullwidth one to build your blog in a professional manner. You can also select from standard, image or video post types to make your blog look even more awesome and engaging.